A film about The Fox and The Hound with some exercises on friendship. This is a great song to introduce the topic of friendship. First students have to complete the lyrics. 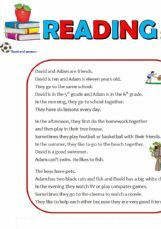 Then they discuss the meaning of (true) friendship by reading some famous quotes - here the teacher can start by introducing topic-related words like "trust" , "betray", "praise"... Later students can write their own definition of friendship. Enjoy! Pracrise the ajectives about friends. 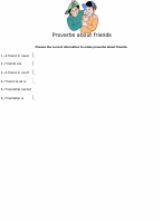 In this exercise students will learn some proverbs about friends. By Yair Yanovice. This song works on spelling and basic sentence structure. Enjoy! This is my first exercise for this site, so please give me your feedback! 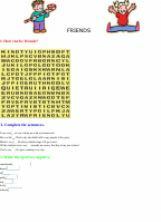 It is a simple crossword focusing on adjectives that are positive character traits.